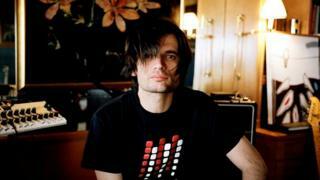 Radiohead guitarist Jonny Greenwood has said classical music concerts have had the excitement "squeezed out of them". Speaking to Radio 5 live, he said: "I think there's something quite off-putting when you turn up and are given a seat number. It's all quite formal." He is playing a classical show at the Albert Hall in Manchester later which has played host to gigs by indie group The Horrors and dance act SBTRKT. Greenwood's film score for There Will Be Blood was Bafta-nominated in 2008. He continued: "It's a little dispiriting to find how rigidly programmes are set. "It's very peculiar that usually orchestras know exactly what they are going to play two years ahead of time and it's all booked, programmes are printed." Greenwood will be backed at the gig on Friday by soloists from London Contemporary Orchestra and will play pieces by Johann Sebastian Bach, Henry Purcell and Iannis Xenakis, as well as music from films he has scored including There Will Be Blood - which saw Daniel Day Lewis collect his second best actor Oscar. Greenwood said: "It's all about trying to play classical music in slightly different venues with a slightly less uptight atmosphere than is usually found in concerts. People are standing, it's dark, there's a bar and we set up on the stage and play whatever music we are particularly enjoying at the moment, so we decided the set-list just before we play." "In one of Mozart's early letters, he's boasting about one of his concerts to his father and is saying, 'It's amazing, the audience heard the first few bars and they liked the idea so they started clapping', and it had that kind of excitement about it, which has kind of been squeezed out by the reverence and silence with which most classical concerts are done in now. "And those 10 seconds of silence after every classical piece is played on the radio for it to sink in. It's a bit peculiar to my tastes." The Albert Hall show will be filmed by the Boiler Room website - an underground music channel with more than a million and a half subscribers - which is diversifying from covering dance acts to screening classical concerts. Greenwood thinks it will go some way to demonstrating the possibilities of a live event: "I think people have been led astray by recordings and they think they know what a string orchestra sounds like, but when you stand in a room with them, it's a very different experience, it becomes far more vivid and exciting." Greenwood has previously released a classical album with the Polish composer Krzysztof Penderecki and, last week, a piece he was commissioned to compose by the Australian Chamber Orchestra was premiered at London's Queen Elizabeth Hall, receiving a five-star review in The Daily Telegraph. Radiohead are believed to be back in the studio working on their next studio album.